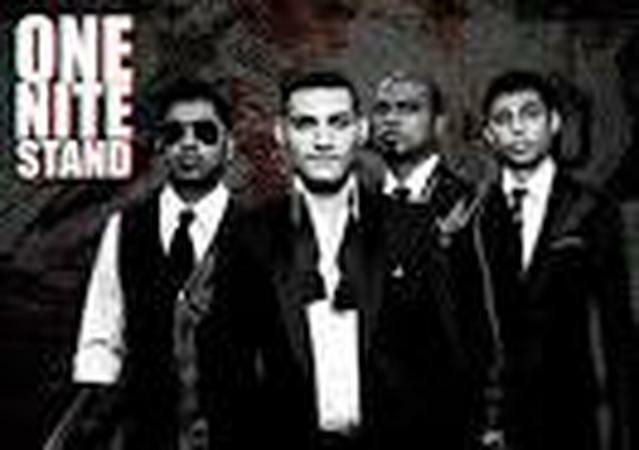 Bangalore band One Nite Stand has been wowing audiences in the city of Mumbai, for some time and are based in the city. They are now stepping out of the city and reaching out to the world at various destination wedding ceremonies and parties. Now here's a band that will turn the wedding day into a party atmosphere in no time. Whether it’s a reception party, engagement night or a themed sangeet ceremony, book them for a complete entertainment package. Irrespective of the genre they are in, the band is all out to entertain the wedding guests and give them a great time. One Nite Stand is a wedding entertainers orchestra based out of Mumbai . One Nite Stand's telephone number is 76-66-77-88-99, address is Sameer Complex, Saint Andrews Road, Bandra (West), Mumbai, Maharashtra- 400050, India..
One Nite Stand is mainly known for Entertainment Services. In terms of pricing One Nite Stand offers various packages starting at Rs 0/-. There are 0 albums here at Weddingz -- suggest you have a look. Call weddingz.in to book One Nite Stand at guaranteed prices and with peace of mind.